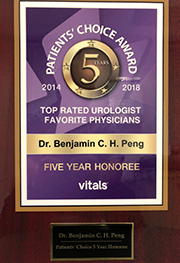 Dr. Benjamin C. H. Peng is an Attending at New York Presbyterian, Lower Manhattan Hospital and a Clinical Assisant Professor of Urology at NYU Medical Center. He earned his undergraduate degree in biology at the University of Rochester in 1980 and received his medical degree at Columbia University, College of Physicians and Surgeons in 1984. Upon graduation he was awarded the John K. Lattimer Award in Urology. He completed two years of general surgery training at Mt. Sinai Medical Center and four years of urology residency at the Columbia-Presbyterian Hospital. 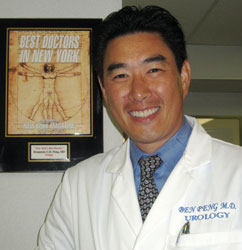 In 1990 Dr. Peng took over his father's busy urology practice, which had been established for over 30 years. In addition to his positions at New York Presbyterian, Lower Manhattan Hospital, NYU Langone Medical Center, and NYP-Weill Cornell Medical Center , Dr. Peng performs stone fragmentation at Metropolitan Lithotripsy and efficient ambulatory surgery at Gramercy Ambulatory Surgery Center, both of which are located in midtown. His office, conveniently located on Canal Street, offers prompt urologic access and quality care to the downtown, Wall Street and Chinatown locations. Dr. Peng is board certified by the American Board of Urology and he is a member of the American Urological Association. 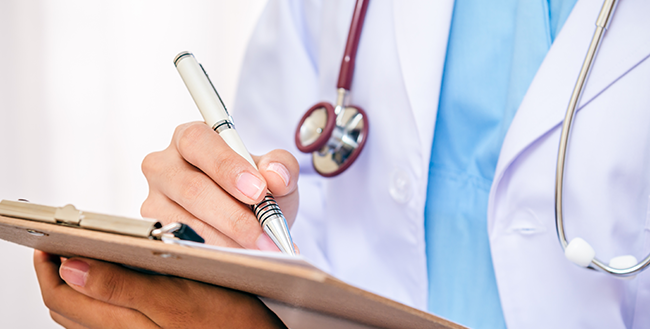 Since 1999, Dr. Peng has annually been listed in the Castle Connolly: Top Doctors of the New York Metro Area. 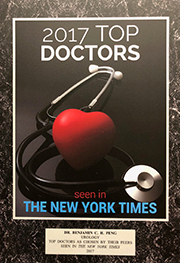 Since 2012 Dr. Peng has been included in the annual New York Times Magazine listing of New York Super Doctors. Dr. Peng served on the New York Downtown Hospital Board of Trustees from 1997 to 2001. He received the Chairman's Award from the New York Downtown Hospital Board of Trustees in 2001. 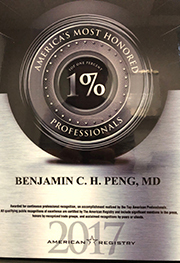 Since 1995 Dr. Peng's has served as the secretary of the 1000 physician Chinese American IPA and also on the quality assurance and utilization review committees. He also served on the Chinatown Health Clinic Physician Advisory Committee from 1999 to 2001. Dr. Peng enjoys spending his free time with his family and he is an avid golfer, skier, tennis player and cross trainer. 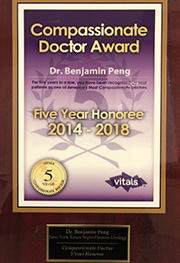 "Dr. Benjamin C. Peng is a rare combination of wisdom, experience, communication skills, and caring. Driving in from Brooklyn (well worth the trip! ), I had high expectations based upon my research of Dr. Peng and his office. My high expectations were fulfilled even greater than I had expected."